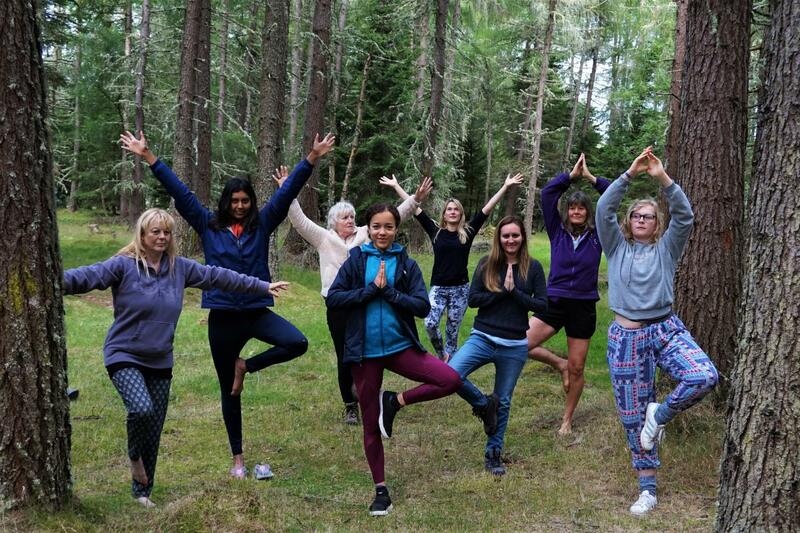 Connect your mind & body at this unique adventure yoga retreat in the stunning Scottish Highlands. 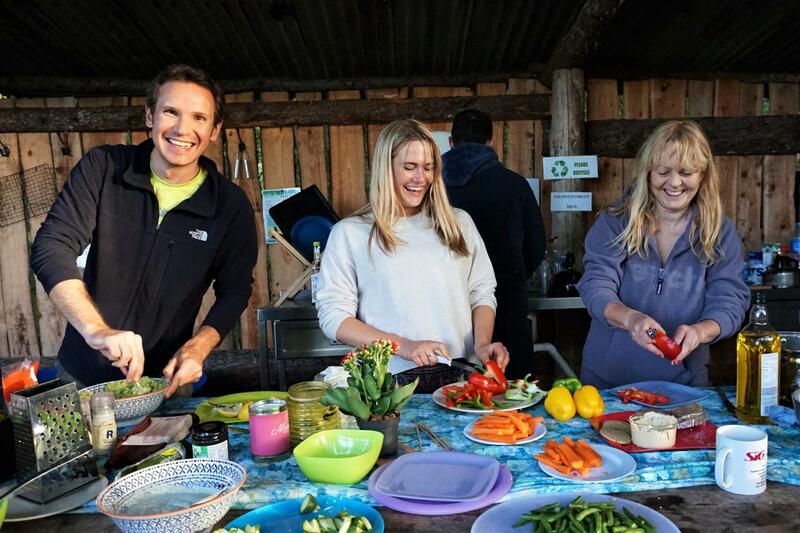 The aim of the retreat is to use yoga, meditation, nature & adventurous activities to develop personal wellbeing and confidence. 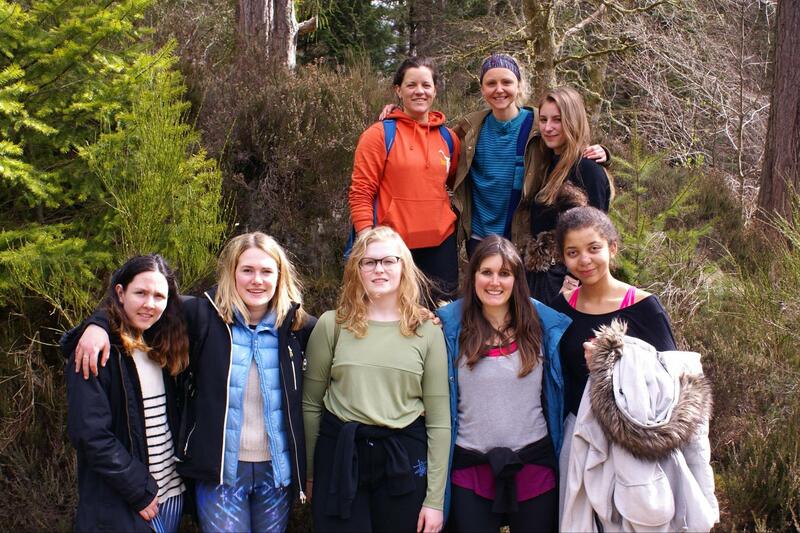 This is the third year, Robin, founder of Bliss by Robin will be running the adventure yoga retreat at ACE in Moray. You will leave the retreat feeling refreshed & awakened with skills to introduce into your daily life. Explore stunning Scottish coastline, heather, sand dunes and maybe even see dolphins & seals! Connect with your mind and body in the stunning, serene Scottish Highlands. 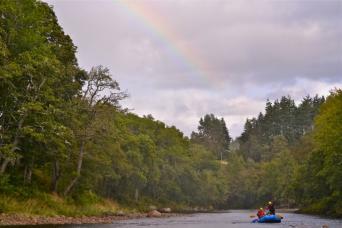 Spend time next to the river Findhorn; both walking and paddling down. Sleep under canvas in amongst the trees in a peaceful forest, in warm bell tents with a cozy wood burner and comfy mattress. Enjoy comfortable simple living, healthy food, time to relax the mind and nature to explore. Anyone who has a desire to learn or develop the practice of yoga in natural surroundings and has a taste for adventure. 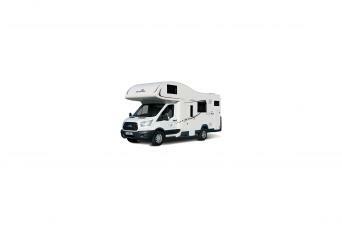 We have 12 spaces in total and welcome anyone from 12 years old up to 70 years old. The retreat is being delivered by family members that are living evidence of the benefits that nature and mindfulness have to offer. Jim is 48 years young and the founder and Managing Director of ACE with a lifetime of experience in adventure tourism and outdoor education. The purpose of ACE is to enhance people's lives through adventure and access to nature. Jim has worked all around the world as a professional river guide, is an assessor for the International Rafting Federation, 1st Aid Training Instructor, Personal Development & Life Coach. Plenty of healthy, tasty food will nurture the body in preparation for the daily yoga and exercise. Food is sourced locally and organic where possible. Relaxing accommodation set in a quiet natural landscape, simplistic in form allows for an enhanced experience to connect with nature free from the distractions of walls that insulate sound. Abundant wildlife will be heard and seen. Meditation and mindfulness undertaken on a daily basis will create stillness and peace, hugely beneficial in aiding stress, anxiety and depression. Yoga postures allow you to feel really comfortable, strong and healthy physically. The end result is you feel connected in mind, body and spirit. 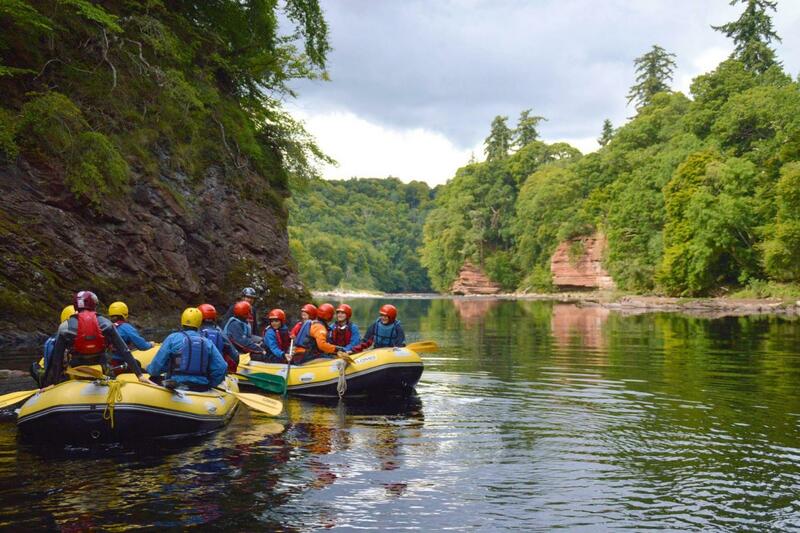 White water rafting is an extraordinary way to see the stunning landscape of the lower river Findhorn gorge which is largely inaccessible. 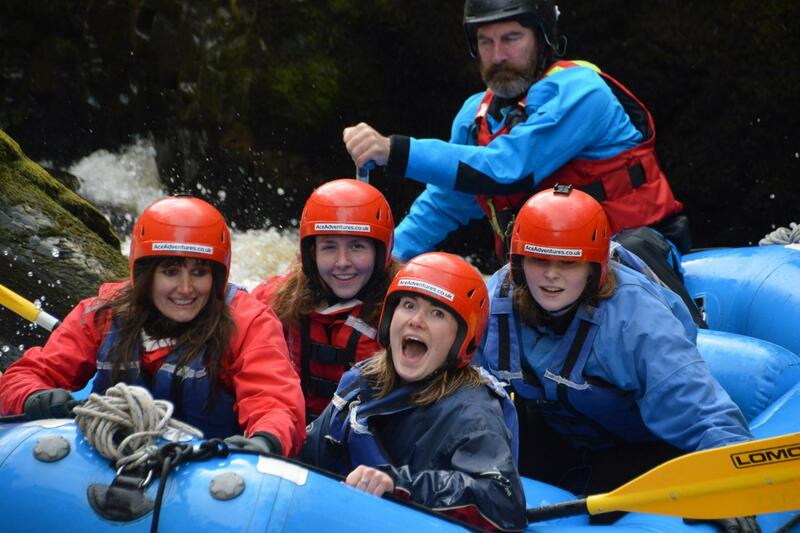 Rafting the river Findhorn is an opportunity to work directly with a base element, paddling through quiet calm stretches and negotiating apparently chaotic noisy rapids. Quite the metaphor of life! It is an excellent way to induce team building and collaboration at the same time as stimulating the senses and being aware of the changes in the self throughout the journey. The benefits of meditation and mindfulness become apparent. Cliff Jumping (optional) provides an opportunity to practice and use some of the breathing techniques practiced in yoga to overcome anxiety and nervousness. The team will coach each person from simple short jumps into a deep part of the river, working your way up to the equivalent of an olympic diving board. 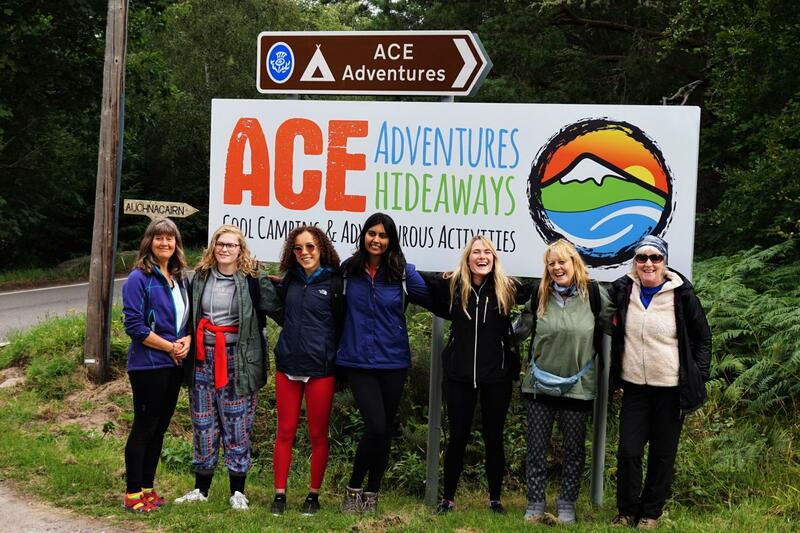 ACE Adventures will provide some adventure activities from their team of highly trained guides that have a passion for awesome customer service. All safety equipment is provided to ensure you are warm and comfortable. 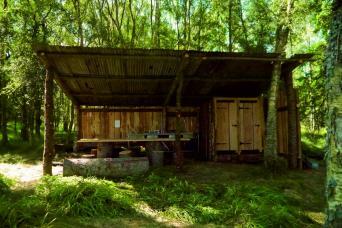 ACE Hideaways offers cool camping and glamping in stunning Birch woodland. 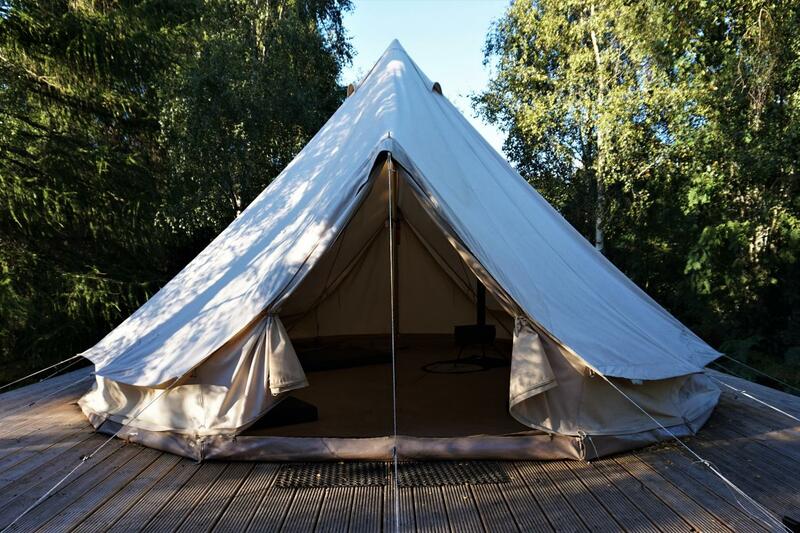 Guests will sleep in huge six meter canvas bell tents which have a wood burner and comfortable mattresses. There will be 2 bell tents with 6 sleeping places. 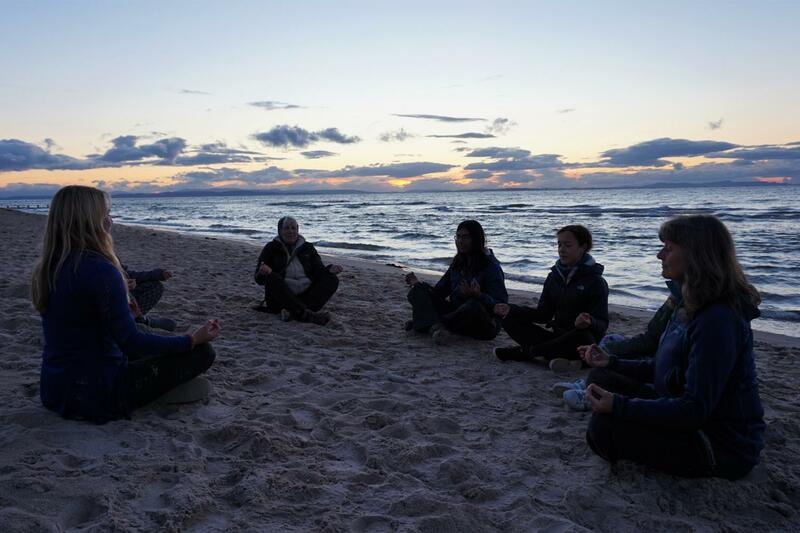 Yoga will be practiced outside on mats, if there is bad weather we will practice in spare bell tents, however weather is normally dry & pleasant in the micro climate of the Findhorn. On our trip to the Findhorn Foundation we will practice in the Universal Hall. www.universalhall.co.uk/facilities. Cooking is done at the outdoor communal camp kitchen and from fire pits with bbq grills or gas ring cooker. 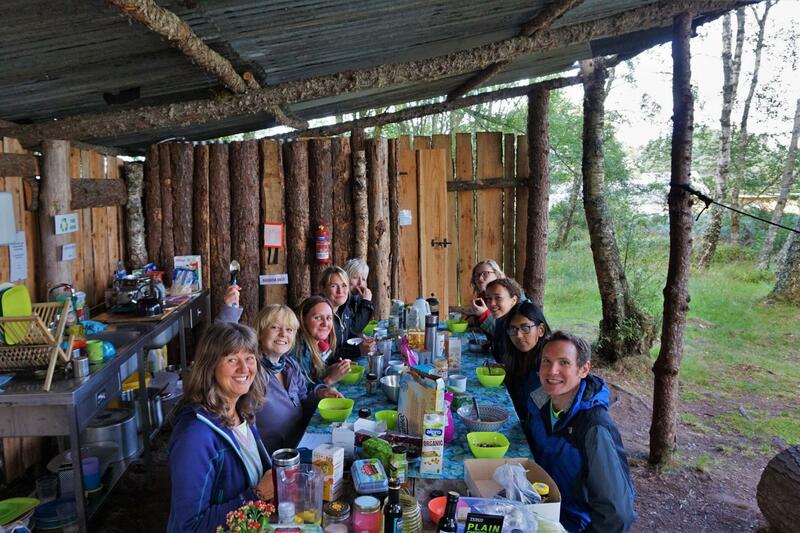 One meal will be cooked and eaten alongside the river Findhorn - a meal with a view! Free wifi is available at reception where phones or electronic devices can be charged and snack food and drinks available for purchase from a modest kiosk during the day. Complimentary minibus collection from Forres at the Falconer Museum, just a 3 minute walk from the bus stop.